Eighteenth century England produced many excellent hymnwriters whose hymns are still sung today - Isaac Watts, Charles Wesley, and the Puritan Philip Doddridge, who died on October 26, 1751. Philip Doddridge was born in London, England on June 26, 1702, the youngest of twenty children. His health was so poor when he was born he was not expected to live, and Philip continued to be plagued by ill health all of his life. His parents died when he was a boy, but he was cared for by friends of the family. Recognizing Doddridge's intellectual abilities, one benefactress offered to pay Philip's studies at Cambridge. Philip rejected the offer, however, because he could not accept the tenets of the Anglican church. He went to a non-conforming seminary instead and became an evangelical, independent church leader. Doddridge was a prolific writer. His The Rise and Progress of Religion in the Soul was translated into seven languages. Reading this book led William Wilberforce, foe of slavery, to become a Christian. Besides a New Testament commentary and other theological works, Doddridge also wrote over 400 hymns. Most of the hymns were written as summaries of his sermons and were to help the congregation express their response to the truths they were being taught. None of these hymns were published in Philip's own lifetime, although they circulated in manuscript copies. At forty-eight, at the height of his ministry, Doddridge was dying of tuberculosis. Friends collected money to send him to Portugal where it was hoped warm air and sunshine might cure him; but it was too late. Philip Doddridge died on October 26, 1751 and is buried in the English cemetery in Lisbon. After his death a friend collected many of his hymns and had them published. 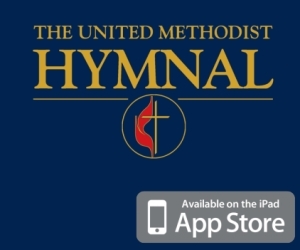 Several still appear in today's hymnals, including "Grace! Tis a Charming Sound" and "O Happy Day". The latter is probably Doddridge's most famous hymn. Based on II Chronicles 15:15, the hymn expressed the joy of a personal relationship with God. Doddridge himself titled the hymn "Rejoicing in our Covenant Engagement to God". Baptists and Methodists often use the hymn at dedication services for Christian baptism, while British royalty have used it at the confirmation services for court children. During the 18th century, England produced some of Protestant Christianity's greatest hymnwriters, including Isaac Watts, Charles Wesley, and Philip Doddridge. As well as writing hundreds of hymns ('O Happy Day' perhaps the most famous), Doddridge founded a theological training school in Northampton, where he taught philosophy, theology, and biblical languages. A contemporary of Europe's Enlightenment movement, Doddridge witnessed countless once-orthodox scholars adopt popular deist philosophies. In response, he gave three sermons defending the tenets of the Christian faith, especially the supernatural ones deists promptly dismissed. The Evidences of Christianity Briefly Stated contains these three sermons. 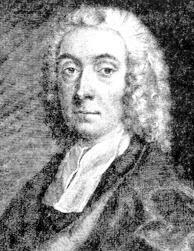 Philip Doddridge was an 18th century hymn writer, theologian, and preacher. Practical Discourses on Regeneration is a compilation of ten of his sermons on regeneration. All of the sermons were delivered to a group of young students entering the ministry. Consequently, they are immensely practical. 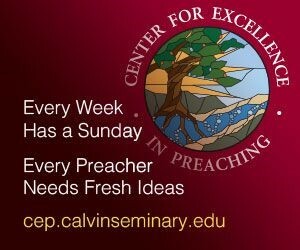 These sermons are a welcome reminder of enriching theology. They cover all aspects of regeneration. (For example, they describe the difference between the unregenerate man and the regenerated man.) Practical Discourses on Regeneration is thus interesting both for historical and theological reasons. It is an interesting, historical window into 18th century theology, and an instructive treatise on the doctrine of regeneration.